Questions? Need to use a purchase order? Please call 718-369-7013 from 9am - 6pm EST or email us at lovelluys@gmail.com and we'll be happy to help. Public use DVDs are for use by colleges, universities, libraries, museums, corporations, the armed services and other institutions. Community Use DVDs are for non-profit organizations, local chapters, community organizations, faith-based organizations, grassroots and student groups. If you are a Vet Center or clinician and want to use the film in your practice with veterans, you need to purchase a special community use DVD specifically licensed for clinical use. This DVD is licensed for multi-use in public and high school libraries only. 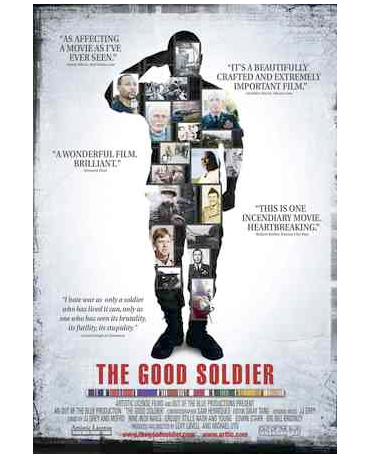 The Good Soldier (Large Movie Poster 27 X 40) Stunning full color glossy movie poster.